Iarla Ó Lionáird is an Irish singer best known as the lead singer with Afro Celt sound system, a band that blends traditional Irish music with west african music and modern electronic music. 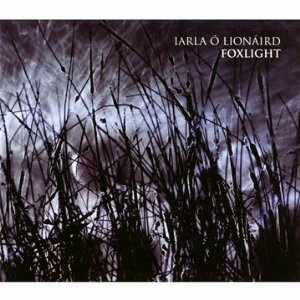 Foxlight is the third solo album from Iarla Ó Lionáird - which over 14 years isnt many, but this is clearly a man who works at his own pace and releases albums when they are ready rather than to meet a set timetable. On this album, Iala has included his first song in English - "Glistening fields". For people like me who don't speak or understand Gaelic, the CD booklet helpfully gives the lyrics in English as well as Gaelic - for all except two songs which for some reason arent translated into English. There are quite a few guest musicians on the album, but for me the one that really stands out is Sara Marielle Gaup who provides some beautiful haunting vocals on "Daybreak"
I'm not really sure how to describe this album - probably the best comparison is Enya - it's got that same sort of mix of modern and traditional, and the results are both mellow albums that are very easy to listen to. Iarla Ó Lionáird's album though has a simpler feel to it with less of the rich sound of Enya, but the effect is beautiful. Iarla has a great voice, and by keeping the music fairly simple then it focusses the listeners attention on the vocals. This is a beautiful album and one that is perfect for listening to when you're in a mood to chill out.